One of my dearest friend from my childhood days recently got married not long ago. In our fondest memories, whenever I stayed over at his place close to dinner time, his parents would invited me to stay for dinner. Some of the best Thai food I ever ate was at their dining table, which has some of the spiciest pork which has never been matched since. My friend's mom should have opened up a Thai restaurant back then as I would have gladly threw down a few coins in that investment. As I was saying, my buddy have gotten married. The poor guy! I wished I could have stopped this for him, but he was so in love. Well, after the wedding ceremony, he said to me that we should catch up one of these days at Cancoon. I remembered this restaurant very well as we used to dine here often when we were much younger. Somehow I stopped coming here since my friend moved out of this area after high school, but there is a reason why he suggested in come here again (a little bit later in the review). Bellflower is not exactly a culinary town, probably a little bit of a run down city for most people. Unbeknownst to me, there used to be somewhat of a little Thai population in this part of town. In fact, Cancoon is part of the pentagon of five good Thai restaurants in this surrounding area along with a slew of others that existed for a very good long time. Cancoon has always remain the same with a very small restaurant that probably will serve 24 people with about 7 tables. During summer time, a make shift fan would be the only rescue from the heat as this place don't have the amenity of an AC or even a heater during cold winter days. To get the whole shock of an experience, if you came here back in the old days, nothing have really changed since then. Even some of the Thai decorations hanging on the wall remained the same with not a care in the world for any change. I don't think people cared that much in the world on how the place look. The restaurant continued to get stream of loyal customers that appreciated the cooking of Northeastern style Thai cuisine (known as Isan for many followers). Just as I did my Bahn Thung E-San review, Isan style cooking tends to be more salty and sour than the other regions of Thai cuisine. One of my favorite dish at Cancoon was the Nua Yum Katiem, which is a charbroiled sliced beef that is top with garlic and spicy sauce that is prepared on a little bit towards the medium rare. Seasoned very well with some of the fine lime juices with a hint of spicy sour, this tartare-like beef rarely disappoint. Cancoon's version of the Nam Kao Tod, minced Isan sausage mixed with green onion, lime juice, ginger, and a dash of fresh chili also live up to expectation. One big gripe about other Nam Kao Tod I had tasted from other restaurants tends to be underseasoned and overcooked on the sausage. It is a lousy combination, which Cancoon tends to avoid by being bold and not overcook to lose the flavor of this wonderful sausage. With the lettuce leaf, you can wrap it and enjoy it like a spring roll. I know people will ask, but interestingly Cancoon's version of Nam Kao Tod does not include crispy rice as it doesn't need it. One of my favorite soup noodle dish here is their Wen Sen (Glass noodle soup with ground beef, bamboo shoot, and fresh mushroom). The glass noodle is very soft and very tender which melt right into your mouth. It complimented the soup once it mixed in with other ingredients. Two other popular staples in any Thai restaurant are the beef jerky (Neu Dad Deaw) and Thai sausage. I probably feel that I can get it better elsewhere, but it's not like a whole of difference in terms of quality. Renu Nakorn, my favorite place which is 15 minutes away makes one of the better variation of similar sausage, but what separate these two apart was the Northern Style Sausage (Sai Qua) at Renu. For me, I do love their beef jerky sometimes. Only if they keep it consistent. My buddy and I used to come here quite often only because he can interact with the owner of the place in their native language. It's not a good reason why I stopped coming here because everyone here spoke English very fluently. I just think I had a poor palate back then and it was easily explained why all of my past meals goes well with my beverage of choice (you know...my namesake!). Now I just can't get enough of the place. There is one big mystery in their menu. They have one page of the menu which they refuse to translate into English. Especially one of the item contains the spicy fried catfish, which they even refused to list the price unless you ask. Even then, they would still need to check the availability of that item. Not quite of the mystery, but I think it was more of the Northeastern specialty which causal diner might not appreciate. Renu Nakorn does that also with their secret two pages that deal with the Northern Style dishes. We have seen the operation where the wife manned the kitchen while the husband manned the front of the restaurant. One of the great pleasure of coming here was the always friendly service. I felt very welcome and get treated with far more respect than any fine dining place that needs me to drop a huge bundle on tips afterward. Even though the tips are far and wide, the people at Cancoon worked harder than any of places I know. The prices here are more than reasonable as most dishes are $5-$7. Most of the time I walked out without paying over $20 for two dishes, one Thai Iced Coffee, and a bowl of rice (Tax and Tip included). It's good thing as I renew my love affair with Cancoon again after long layoff. If my friend never mentioned this place, it would have been long forgotten. As in for why my friend love it here and suggested on why we catch up here. He spilled a long kept secret: his mom actually bought a few dishes from Cancoon and integrated as part of the dinner we all once have. My friend won't tell me which dish or if the ones I like are from here, but you can bet my innocence was gone. It's like someone told me that Easter Bunny was a hoax. Either way, they pick an excellent place to substitute a dish or two. Thank goodness it's not KFC. Post Note: In case you want to know what are the other restaurants in that pentagon of five Thai restaurants in that area. Besides Cancoon Thai Restaurant, there are Renu Nakorn in Norwalk, Tantalizingly Thai in Lakewood, Rachada Thai Cuisine in Santa Fe Springs, and Thai Issan in Cerritos. I'll try to finish the reviews for the pentagon of five Thai places very soon. Whoa. 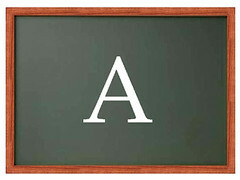 An A? And you tell me the Easter Bunny isn't real? What is this world coming to? Yep, this place is highly regarded by me. I do love it.